Hitler, Chavez, and Donald Trump were all elected. Portions of the electorate disapproved of them for one reason or another, but they supported them because they thought they shared common goals and that those elected would be controllable. West and Shapiro gave much longer lists. Trump has removed the people who might have braked his worst inclinations: the generals and legal staff and cabinet members who have carried out his orders imperfectly in his judgment. He has hollowed out government agencies designed to provide the president with information. He is behaving increasingly erratically; he now opposes his own State Department on Libya. Policy on North Korea and Russia is equally confused. This is the way wars start. Trump has threatened legal action against his enemies. Mitch McConnell is packing the courts with judges who will approve Trump’s agenda. Trump’s rhetoric uses hate and fear to divide the country. We are in a sequence of events similar to those of the 1930s in Germany or the early 2000s in Venezuela. We must do something that the Germans of the Weimar Republic and the Venezuelans failed to do: stop the progress toward fascism and destruction. I can’t think of a historical example of a country this far down that road that turned back, but that may be my limitation. Populism had some successes in the United States in the late 19th century, so there may be some examples there. If you’ve got an example, please send it along; we need to look at the historical successes as well as the disasters that rivet our attention. Today’s situation, while analogous to points along the way to those historical disasters, has significant differences. The courts have struck down a number of Trump’s initiatives, most recently Trump’s reversal of a moratorium from the Obama administration on federal coal leasing. According to the Mueller report, members of the administration have slowed or thwarted actions Trump desired. Voters mobilized sufficiently in November 2018 to turn the House of Representatives Democratic. The system is partly holding. 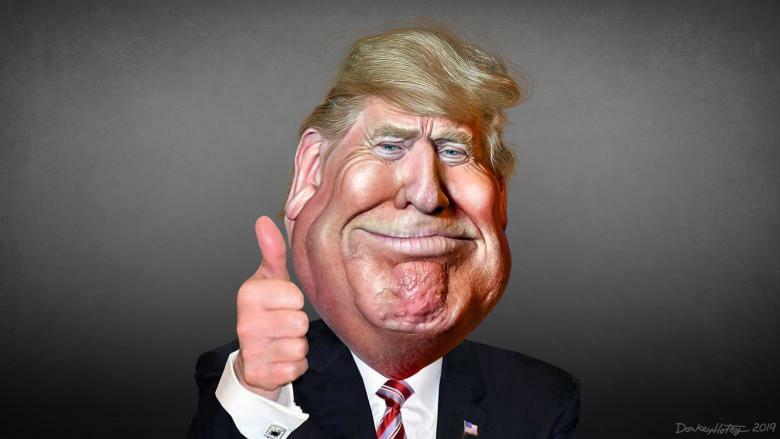 With the Mueller report, the press seems to be turning from its reflexive “both sides do it” and the overwhelming desire to see Trump become a “normal” president. It’s not clear whether this change in direction will last. 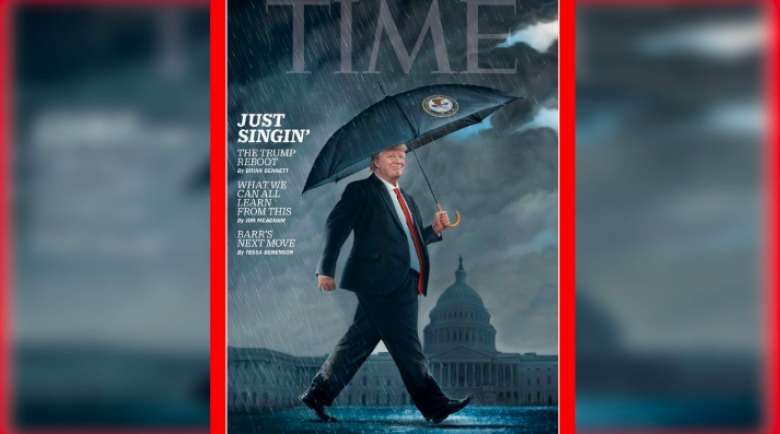 [Trump] once criticized the French president [Emmanuel Macron], and people called me from Paris to say, “What should we do?” My answer was clear: “Nothing.” Do nothing because he will always outbid you. Because he can’t accept appearing to lose. You have restraint on your side, and he has no restraint on his side, so you lose. It is escalation dominance. Trump and his minions are now touting the Mueller report as a success for them. How far that fiction will go is not clear. A segment of the population will continue to support Trump no matter what; they will see information unfavorable to him as a test of faith. Another segment has been strongly opposed to him since he began his presidential campaign. A middle segment that supported him may have reservations about his behavior in office that are now reinforced by the Mueller report. Elected Republicans are totally committed to him or have felt that they need to support him to avoid primary challenges. Most analyses of the possibility of impeachment look at those divisions and commonplace sentiments about how voters are likely to behave. There is no reason to believe that any of that basis is lasting. It is very early for polls, but an Ipsos-Reuters poll shows a decrease in Trump’s support. The Mueller report is wide-ranging over Trump’s malfeasance. It will continue to make news, which is likely to continue to erode his support. Senators Mitt Romney and Susan Collins have expressed concern about Trump’s behavior. Yes, they have expressed concern before in empty ways. Let’s see how this goes. My point is that a static analysis of impeachment is a mistake. Opinions will change as investigations continue in the House of Representatives. Trump will likely become more incoherent and unhinged in his tweets, which even many of his fans express doubts about. Opinions will change. We don’t know the direction of that change, of course, but I suspect it would be largely against Trump. It’s possible there would be a reaction in his favor, although that seems unlikely as more of his malfeasance is revealed. There will be little change if things continue as they are. But if we are to stop the descent into fascism, we must change direction. A Washington state Republican politician took part in private discussions with rightwing figures about carrying out surveillance, “psyops” and even violent attacks on perceived political enemies, according to chat records obtained by the Guardian. • U.S. coal production down again in 2018, but energy consumption way up: Overall consumption from sources of all kinds rose by 4% while consumption of natural gas rose 10%. Fossil fuels account for 80% of Americans’ energy use. Renewable energy consumption also hit a record high, with a 22% rise in the use of solar power. Wind and solar now make up the most of the new U.S. electricity generation as costs continue to decline. But while the growth in their use has soared, renewables still make up just a sliver of overall energy consumption. Chris Field, a climate scientist and director of the Stanford Woods Institute for the Environment, says these statistics from the Energy Information Administration shows the U.S. doesn’t have the policy levers needed to ensure that renewable fuels are chosen for new electricity-generating installations. “Renewables are increasingly rapidly, but not as rapidly as necessary to drive down total [greenhouse gas] emissions,” he said. “Columbine is something to the Columbine community that the rest of the world will never understand,” said Coni Sanders, daughter of Dave Sanders, the teacher who bled to death inside a classroom that day while desperate students tried to save his life. “I’m somewhat saddened over the years that Columbine became a euphemism for mass shooting. It’s become a fascination for murderers around the world. days after a terrorist in Christchurch, New Zealand, live streamed their attack on Facebook, the world’s biggest and most well resourced social media network is still hosting copies of the violent attack video on its own platform as well as Instagram. Some of the videos, which are slices of the original 17 minute clip, are trimmed down to one minute or so chunks, and are open to be viewed by anyone. In one instance, instead of removing the video, which shows the terrorist shooting and murdering innocent civilians from a first-person perspective, Facebook has simply marked the clip as potentially containing “violent or graphic content.” A video with that tag requires Facebook users to click a confirmation that they wish to view the footage. The news highlights Facebook’s continued failure to keep one of the most high profile pieces of white supremacist terrorist propaganda off its platform, and which originated on Facebook in the first place. It shouldn't take an ex-Republican to tell Democrats to do their duty, but that's what happened on AM Joy this morning. David Jolly was blunt: "They have a duty under the constitution to consider whether or not the president broke the law." Indeed. Then Jolly took it one step further, and again hit the nail on the head. "And the finality that will confront Democrats is this," he warned. 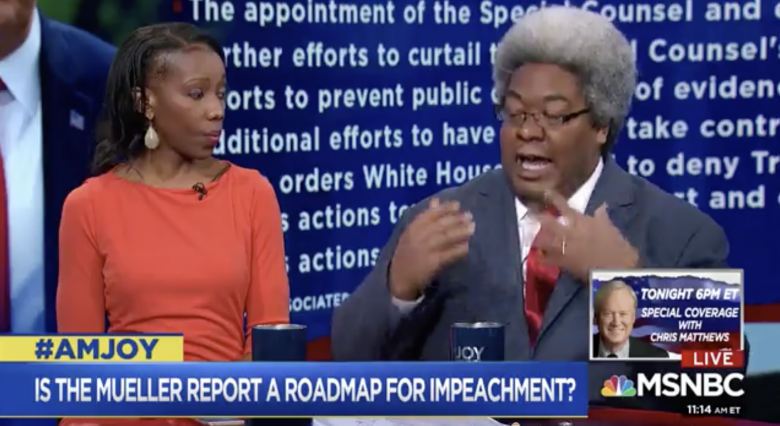 "If you refuse to impeach the president and hold him accountable, you're taking the same actions that Attorney General Bill Barr is taking by saying, 'I see the Mueller evidence, but I'm not going to hold the president accountable.'" This should go without saying! The only reasons I can see for any Democrat, whether a voter or an elected official, to demur from their moral, ethical and constitutional duty is ignorance (they haven't taken the time to read the report) or cowardice. Republicans will shirk their duty because they're addicted to power and are completely sold out to the Trump Crime Syndicate (see Romney, Willard). Bottom line: There are no other options and we shouldn't need a former Republican to tell us that. To put an exclamation point on it, hear what panelists Tara Dowdell and Elie Mystal have to say. "But the arguments that people are making is that it's going to divide the country. We're already divided," Dowdell said. To which I say, AMEN. Stop pretending we're not. Robert Mueller's redacted Russia report was frankly too thorough, stunning, and damning to reduce down to any one singular conclusion. But the response to Mueller’s opus on Capitol Hill did make one takeaway crystal clear: While Democrats are grappling with how to move forward given the depraved portrait Mueller painted of Donald Trump, Republicans have entirely cemented their place in history as a pack of servile lap dogs, though nowhere near as cute or cuddly. Unless I missed something, with the one exception of Sen. Mitt Romney declaring himself “sickened” by the revelations, Republicans either bit their tongues or went ahead and sacrificed any shred of dignity they had left at the alter of their 2020 reelection. Witness Texas Sen. John Cornyn, who will be vying next year to continue his servitude as a useless Trump minion. Cornyn, once again proving, there's absolutely nothing Trump can do that's too gross, unpresidential, or even treasonous that Republicans won't give him cover. What that means is that every GOP lawmaker fighting for reelection next year has affixed their fate to Trump—a man who deeply believes that some 60 percent of the electorate doesn't matter and is in fact worthy of derision. The first responsibility of being Donald Trump’s lawyer seems to be attacking Donald Trump’s previous lawyers. First that meant Michael Cohen, and now it’s former White House Counsel Don McGahn. So far as Trump is concerned, McGahn made a basic error—he was truthful and cooperated with a criminal investigation. In the process McGahn made it clear just how much Trump tried to hamstring, harm, and end the investigation into Russia’s interference in a the 2016 election. As the New York Times reports, McGahn became one of witnesses most cited in the report produced by special counsel Robert Mueller. References to the White House counsel’s testimony came up 157 times. Clearly, speaking the truth is the one sin that cannot be tolerate by Trump or anyone around him, so current Trump attorney Rudy Giuliani has issued an attack on McGahn. According to Giuliani, McGahn’s statements “can’t be taken at face value.” He followed up by speculating that McGahn was lying, or McGahn wasn’t remembering correctly, or Trump was only making a joke by “venting his frustrations” with Mueller. Trump famously does not take notes. Or use email. Or do anything else that can possibly be used to document the instructions he provides to others. The concept that other people want an accurate record of events isn’t just odd to Trump, it’s threatening. I haven’t read the complete Mueller report yet but the behavior described in it is shocking for anyone in public office. And Mueller explicitly did not exonerate Trump, especially in regard to obstruction of justice. As The New York Times put it, the report reveals the White House as a “culture of dishonesty.” "So many lies. So many changed stories ...The report recaps one false statement after another," The Times wrote in the second of its seven key takeaways. Before the Mueller report came out, starting the impeachment process seemed like a bad political move. But avoiding impeachment is no longer an option. Because in the words of America's favorite show, Winter is Here. You need to finish the job that Bob Mueller started. The Special Counsel went as far as he could given the restraints of the DOJ and Attorney General Barr. You need to shine a light on what is going on with the Trump administration. Start the impeachment process to send a message that there is accountability and rule of law in this country. You don't have to FINISH the process---just get things moving! We've waited for 2 years while Trump and his team have walked all over America's laws and rules, we can't wait another 2 years if we want to keep our democracy safe. Here are 5 good reasons to start the Impeachment process. Mueller gave Congress a detailed roadmap to begin impeachment proceedings. Mueller and team investigated for two years, gathering an insane amount of factual details that can't be shrugged off as "fake news". It is the duty of Congress to follow Mueller's facts to find out more. As can have been expected, most of Saturday morning's AM Joy show focused on the Mueller Report, and how Democrats should consider shaping their response. It was a refreshing change from Thursday's and Friday's coverage, which seemed to take a cautious, "let's be practical" approach to how to proceed — especially regarding impeachment. What has felt like a lying down, playing dead response from many of the liberal talking heads has been infuriating. As always, Joy Reid's panel had a super cross-section of opinions, but the majority brought the message home with force that this is not a time to play timid. Joyce Vance (whom I love - let's be clear) played the role of the calming, this is how things are supposed to work, let's give it time, and Mueller was respecting the rule of law kind of role, particularly when it came to the OLC memo. But guess what? The ultimate rule of law in this land is the Constitution, and it is extremely clear about the circumstances under which Congress not only a right, but a duty to impeach when our executive branch is in the hands of someone like Trump. There was a pretty vigorous argument going on over at Deadline White House today over how explicitly Mueller should have stated that he wanted to indict Trump for obstruction of justice. Rick Stengel represented most of us frustrated Democrats who cannot for the life of us understand why Mueller did not go the extra step of actually either indicting Trump for obstruction, or at the very least, SAYING he wanted to indict him, but was constrained by the OLC guidelines stating he shouldn't. Throughout the spring, climate change has generated refugees across much of the Midwest as unprecedented storms and record flooding drove thousands from their homes and flooded farms, business, neighborhoods, and military bases. But the climate change being experienced over most of the United States is mild compared to what’s happening further north. With the Arctic on track for a record year of melting ice and above freezing temperatures becoming more common even in winter darkness, things are changing in a way that is turning into a place that even its oldest residents do not recognize. As the Washington Post reports, temperatures this spring in Utqiaġvik (formerly known as Barrow) weren’t up by one degree, or two, or even three — they were an astounding 18.6 degrees Fahrenheit above normal. That kind of drastic change has turned the areas’ traditional ice roads into lakes, exposed villages normally sheltered by sea ice to the pounding of spring storms, and it has led to at least five deaths when people fell through ice that had never before been an issue. In many areas of the state there are no permanent highways. Lakes and rivers have long been treated as transport corridors, and some villages can only be reached by snowmobile. But with the warming conditions, routes that have been solid for generations are turning into dangerous slush. Three people, including an 11-year-old-girl, died in the last week after an excursion to visit family ended by a plunge through fragile ice. Alaskan natives have experience in the area that goes back long before written history. But that experience doesn’t help, because none of their ancestors—going back to those who first crossed the ice to enter the area—have ever experienced conditions like those in Alaska today. Utqiaġvik has set an all time high temperature rating in 28 out of the last 100 days. At this extreme northern point, the ground should still be hard frozen and any sign of spring still weeks away. Instead, rains are falling, permafrost is thawing, and both animals and people are struggling to adapt to an environment that has not existed for millions of years. Now that we finally have the (redacted) report from Robert S. Mueller III’s investigation into the Russia scandal, we have many questions to confront, such as whether President Trump should be impeached. But the report has also given us many answers, and it’s worthwhile to step back and take careful note of what it has clarified. Except that Trump doesn’t appear to have been anywhere near as effective as the fictional gangsters he resembles in Mueller’s work. A central piece of the story is how little Trump is and was able to control. Despite his very best efforts, key members of his team refused or avoided what were clearly unlawful orders. In so doing, they took critically important, even if limited and self-protective, steps to protect the integrity of the investigation and thus the rule of law. It is the one bright side of what has emerged. But there are too many dark sides to count. We now have, thanks to the Mueller report, a detailed accounting of an attempted president-dictator. We have a president who sought to cover up and get all those around him to cover up campaign contacts with Russians; to cajole and then ultimately threaten witnesses into lying; to interfere with ongoing law enforcement investigations; to run the executive branch like an arm of the mafia. The fact that the Mueller investigation ended so quickly after William Barr stepped into the role of attorney general made many suspect that it was more than coincidence—and according to the Washington Post, those suspicions were well founded. Mueller ended his report when Barr sat down, because there was a conflict between the two of them that meant any effort to go forward was pointless. Mueller viewed the Department of Justice regulations regarding indicting a sitting executive seriously. He believed it meant he could not issue a formal indictment of Trump, “even if the charges remained sealed.” But more than that, Mueller believed he was not allowed to even accuse Trump of a crime, “even in secret internal documents.” As far as Mueller was concerned, there was no way for Trump to land an indictment, not even if he did shoot someone on Fifth Avenue in broad daylight. It was such a strict view of the regulation that it appeared to drive other members of his team, and other staffers at the Department of Justice to distraction. The whole existence of the special counsel position seemed to be predicated on the idea that it was removed from the normal constraints of the Justice Department rules and was empowered to make exactly that kind of accusation. But that wasn’t how Mueller saw it. Instead, Mueller was so determined to not make a decision, that he wrote all his findings as simply that—findings. For Mueller, it wasn’t just his role that was constrained by precedent to avoid making these decisions, it was everyone at the Justice Department. That’s why Mueller wrote his report with frequent references to the power of Congress: he created it with the assumption that the evidence would go to Congress, where the Article I of the Constitution would enable decisions that couldn’t be made by anyone within the executive branch. William Barr did not agree. In fact, Barr didn’t agree to the point that he found Mueller’s positions astounding. As in astoundingly naive. Barr had already made it clear that he was perfectly comfortable making decisions about Trump’s guilt—and he didn’t even need the facts to make them. With Mueller determined to not make a decision, and Barr having already made his decision, there was no reason for the investigation to continue. Mitt Romney used words like "sickened" and "appalled" to describe his reaction to the conduct of the Trump administration that he read about in the Mueller Report. The Internet then ridiculed Romney, another Republican who uniformly votes in lockstep with what Trump is doing. 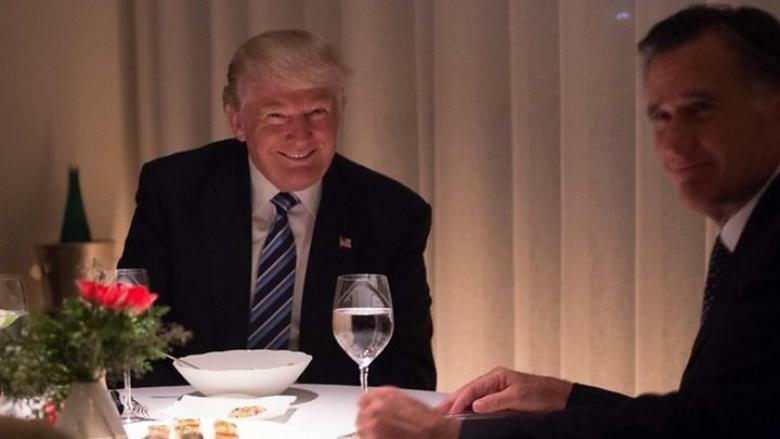 WASHINGTON – Republican Sen. Mitt Romney said the conduct by President Donald Trump and his campaign outlined in special counsel Robert Mueller's report left him "sickened" and "appalled" — marking one of the first prominent Republicans to make such critical comments of the president in the aftermath of the blockbuster investigation. Romney, R-Utah, offered his reaction on Twitter after reading the full 448-page report, writing that while he was pleased that Mueller concluded that the Trump campaign did not conspire with Russia to interfere with the 2016 election, the level of lies and dishonesty outlined in the report left him with the realization of "how far we have strayed from the aspirations and principles out the founders." Senator Elizabeth Warren has officially called for impeachment proceedings against Donald Trump. 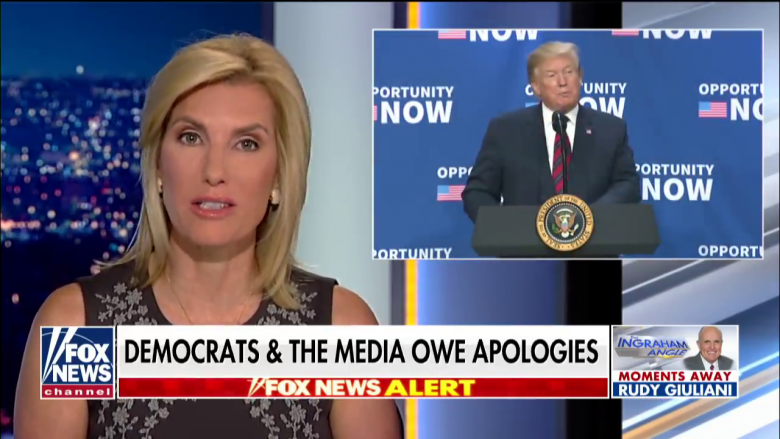 In a series of tweets and an official emailed statement, she wrote, "The Mueller report lays out facts showing that a hostile foreign government attacked our 2016 election to help Donald Trump and Donald Trump welcomed that help. Once elected, Donald Trump obstructed the investigation into that attack." "Mueller put the next step in the hands of Congress: 'Congress has authority to prohibit a President's corrupt use of his authority in order to protect the integrity of the administration of justice.'" she continued. "The correct process for exercising that authority is impeachment." "To ignore a president's repeated efforts to obstruct an investigation into his own disloyal behavior would inflict great and lasting damage on this country, and it would suggest that both the current and future presidents would be free to abuse their power in similar ways." "The severity of this misconduct demands that elected officials in both parties set aside political considerations and do their constitutional duty. That means the House should initiate impeachment proceedings against the president of the United States," she concluded. Donald Trump collaborated with hostile foreign powers to get elected. He helped our enemies, he betrayed our country and he lied to cover it all up, while abusing his power to obstruct Robert Mueller to get to the truth. As Donald Trump moves to remake the Department of Homeland Security into an agency that will carry out his most extremist (and, often, illegal) orders, from military deployments on the southern border to the construction of detention camps for refugees to potentially closing the southern border completely, Carrie Cordero and Garrett Graff write that Homeland Security's "unique history,” compared to the other federal agencies, renders it far more pliable to Trump's white nationalist whims. Trump’s new institutional target has few of the antibodies that allowed the Justice Department to resist his worst impulses. A young and immature department patched together after the 9/11 attacks, DHS is ripe for abuse by a would-be authoritarian—it has fewer institutional norms of behavior, less organizational DNA rooted in the rule of law, a comparatively high number of political appointees and a workforce and union base uniquely sympathetic to the president’s goals. These institutional susceptibilities should be particularly concerning for anyone paying attention to the rule of law under Trump. This has already been demonstrated in the department's willingness to take extremist actions toward asylum-seekers on Trump's behalf, from leaving lines of refugees stranded at the border while the agency slow-walks applications to "zero tolerance" policies enforcing family separation (with little to no plans made for reunification afterwards). What is left largely unspoken, in the descriptions of the agency's nasty beginnings and perennial problems with corruption, criminality, and insufficient training, is the extreme racism that has pervaded the Border Patrol for decades. This is not an unknown quantity; there is a reason that the border agents' union embraced Donald Trump during the 2016 campaign, and it was not for his thoughts on corporate tax rates. But another factor here is that Homeland Security is not alone in its eagerness to come up with rationales for harming asylum seekers in accordance to White House wishes. 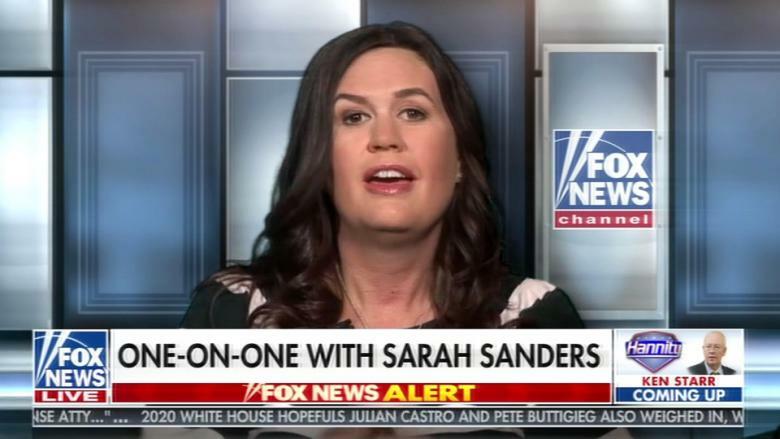 After being featured in the Mueller report for her fabulous lie, Sarah Huckabee Sanders paid a visit to Sean Hannity to clean up her mess, which of course means lying about her lie. And who better than Sean Hannity to do it with, where the boss is sure to see her and explain how it isn't a lie even though it is clearly a lie? It's Orwellian, isn't it? At any rate, the lying press secretary would like everyone to know she didn't lie as much as she messed up one teeny little word. It was just a "slip of the tongue" when she said countless FBI agents were happy FBI director Comey was fired. Nothing to see here. Nothing at all. After Hannity set the table for her, Sanders said, Look, I acknowledge that I had a slip of the tongue when I used the word "countless," but it's not untrue." Oh yes, it certainly is untrue, Sarah. She added, "And certainly, you just echoed exactly the sentiment and the point that I was making, is that a number of both current and former FBI agents agreed with the president." The biggest redaction from the Mueller report is the one we can’t even see—the counterintelligence operation, the primarily FBI-led effort to to assess and counter Russian influence on Trump before and after the election—is entirely missing from the report that was delivered to Attorney General William Barr. There are a few hints of its existence in the form of color-coded redactions within the version of the report made public by Barr, but the results of that investigation, which is still ongoing, are unknown. What is clear is that Russia’s involvement in the election was extensive. In fact, it was more extensive than was known previous to the release of the report. Russia wasn’t just buying ads on Facebook or propping up false news sites to claim that Trump had won the endorsement of the Pope. It was also organizing actual protests and rallies inside the United States, including such events as a “Miners for Trump” rally in Pennsylvania. Russia had “boots on the ground” inside the United States. For Trump. While the counterintelligence investigation may still be under wraps, assuming Barr hasn’t ordered it to be dismantled, some things about the Russian activities are made very clear. Among them is that Russia very much wanted Trump to win. As many had reported, Russia began in earnest setting up their program to disrupt the U.S. election in 2014, but later switched to support “favorite candidate Trump” while attacking Hillary Clinton. From then on everything it did—social media, thievery, planting stolen information, creating false narratives—was done for Trump. It was all part of the Russian government’s program to support Trump by conducting a massive operation, both online and on the ground, to wreck American democracy. One of the other items that makes the report is just how excited Russia was by Trump’s victory and how quickly Vladimir Putin worked to capitalize on their new friend in the White House. As Politico reports, Trump became the subject of an “all hands” meeting at the Kremlin as Putin assigned Russian oligarchs to get close to Trump and his transition team. They began an immediate project to “establish a backchannel line of communication” to Trump. And, just as they were during the campaign, Trump’s team was entirely “receptive” to this idea. 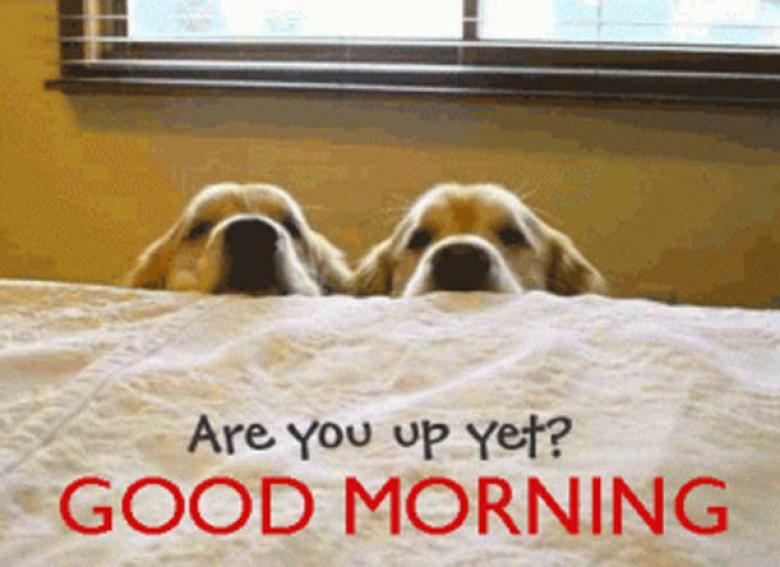 Happy Saturday, fellow crooks & liars! We have an embarrassment of riches as the blog-o-sphere continues to do what it does best: well-thought, deep, analysis, and not clickbait. Bonus Track: Open Culture shows the best mural ever.